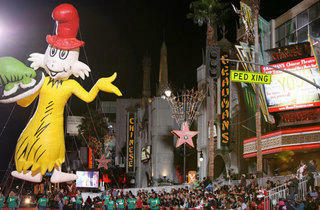 Like an Angelyne billboard on Sunset Boulevard, the Hollywood Christmas Parade is an essential part of L.A. kitsch. 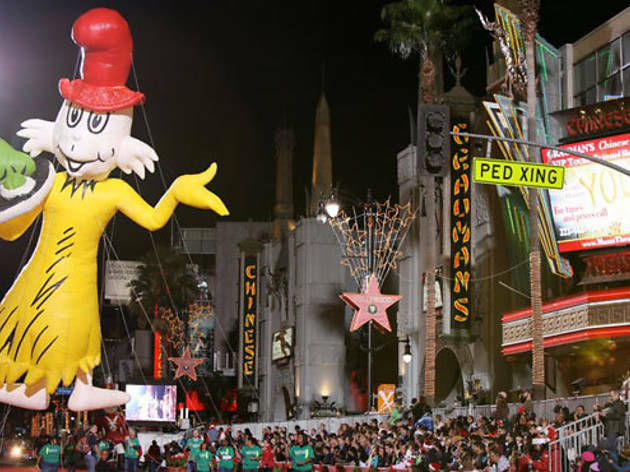 The nearly nine-decade–old parade will feature floats, balloons, bands, equestrians and celebrities as they ride in a U-shaped route that begins at Hollywood and Orange and ends up at Sunset and Orange. Reserved grandstand seats can be purchased, with proceeds going to Toys for Tots, but free curbside seating is also available.